An email subject line typically determines whether or not someone will even open your message. Therefore, it is pivotal that you write a statement that captures the reader’s attention and encourages them to click through for more information. If the subject is too generic, confusing, or lacks motivating cues, the patient is significantly less likely to even notice or open the message. 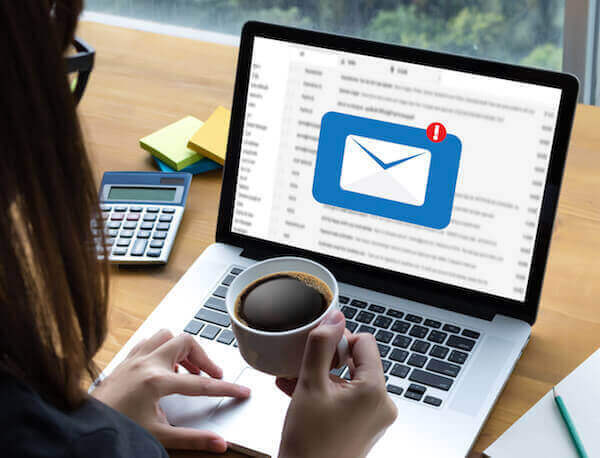 Now, there is a difference between subject lines for marketing emails versus transactional emails, such as appointment reminders or billing notifications. Let’s see what works best for each type of communication. Transactional emails can be characterized by ones that convey important information that is either unique to the patient or imperative for the practice. Examples include appointment reminders, digital copies of personalized HEPs or billing and payments. Similarly, big news or updates to the practice could be transactional emails as well. Announcing a new insurance, accepting a new form of payment or major changes in hours/schedules are things that patients need to know. For up-to-date tips on attracting new patients with Emails, SEO, Social Media, & more check out our free Marketing Training Downloads! Any of the above immediately tell the reader what the message is about and assign a level of priority for the action. For example, “confirmation required” tells the viewer that it’s not just an appointment reminder, but they need to click and confirm the appointment. In contrast, “view new billing statement” implies that it is available for the patient to review but that payment is not yet required. That email subject line should say “Payment Due Billing Statement from [Practice name]”. What about PT marketing emails? Marketing emails are essentially everything that is not transactional. These are emails that educate, inform, promote and share important content about your PT practice. Think about it this way—a marketing email for a clothing company would say “Save Now 20% Off Sale” versus a transactional email for “Order Shipped Tracking Information Included”. So, when you are sending marketing emails you need to entice the reader to open them. But, you also don’t want to create “click bait” or a deceptive email subject line that gets people to open the message but fails to convey the content inside. Why? Because, click bait results in people unsubscribing from your emails or marking them as spam. Both results prevent you from continuing to promote your practice to them in the future. Marketing email subject lines should accurately describe the purpose of the message. And, they can do so in a fun, engaging and dynamic way. Since there is no immediate action required, you need to create a sense of interest to get the reader to open the message. Let’s look at examples and see why they are successful at getting patients to open PT marketing emails. It’s seasonal, personal and describes the content inside (the monthly newsletter). This would be a great subject line that works for all blog posts. Just use the [Title] of the blog post and add “…and more from [Practice name]” when you publish a new post to the website. You immediately know what this message is about. The month (March) provides a timeframe, and the discount is prominently featured at the beginning of the subject line. This would work for almost every promotion and creates a sense of urgency to action without being misleading. This subject line speaks to the emotional self. People who are in pain will subconsciously relate to the opening question. Then, you tell them exactly what to do and call you for a free consultation. Even if they don’t open the email, the patient knows to contact you to be pain free. Note: these types of emails should be sent only occasionally. Just like the boy who cried wolf, you don’t want to keep assuming the patient has pain and needs PT today. We recommend sending these types of emails only a few times per year. A new staff member, especially one that is going to interact with patients, is a good reason to communicate with your email lists. A new PT can bring with them personal connections and past clients. So, you want to let people know they are now working with your practice. Additionally, a new PT shows that your practice is growing and expanding its offerings for patients. This subject line is not nearly as clear as the other options. But, it is a broad opener for an email that might contain lots of content. For practices that send monthly email newsletters or digests, a seasonal opener works well when the content is relevant at that point in the year. When you are first starting a monthly email series, it’s best to start with the “monthly newsletter” type subject line that is directive. Thus, you warm people up to receiving monthly marketing from your practice. Once the monthly campaigns are underway, get creative with your opening lines. Want to put your subject lines to the test BEFORE hitting send? Check out this awesome tool from Coschedule. Email subject lines are one of the most important parts of your practice’s digital marketing program. The email content itself is only good if people open the message. You need effective subject lines to encourage them to read the content. The biggest takeaway is to use the right type of subject line styles for transactional versus marketing emails. You want people to know when they need to take action on their personal account. Also, you want people to be intrigued and curious to read educational and informational content about PT and your practice. Try some of the examples today and let us know how they work for your marketing. For more information on email and online PT marketing, check out our features or our Free PT Marketing Resources.